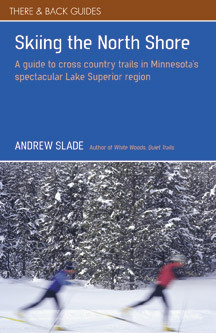 "Andrew Slade has written a great guide to area cross country ski trails…and just in time. As one who typically falls down as soon as I slip into skis, I gave the book to one who is an avid skinny skier. The review was glowing." Get the skinny about the most gorgeous cross country ski trails in North America. Join Andrew Slade, an experienced guide and skier, as he takes you along all 700+ kilometers of trails which wind through the North Shore’s city and state parks, a National Forest, and private ski areas. Discover perfectly groomed trails that have earned intriguing names like Bear Chase, Otter Run, Mystery Mountain, Canyon Curves, and Lonely Lake. 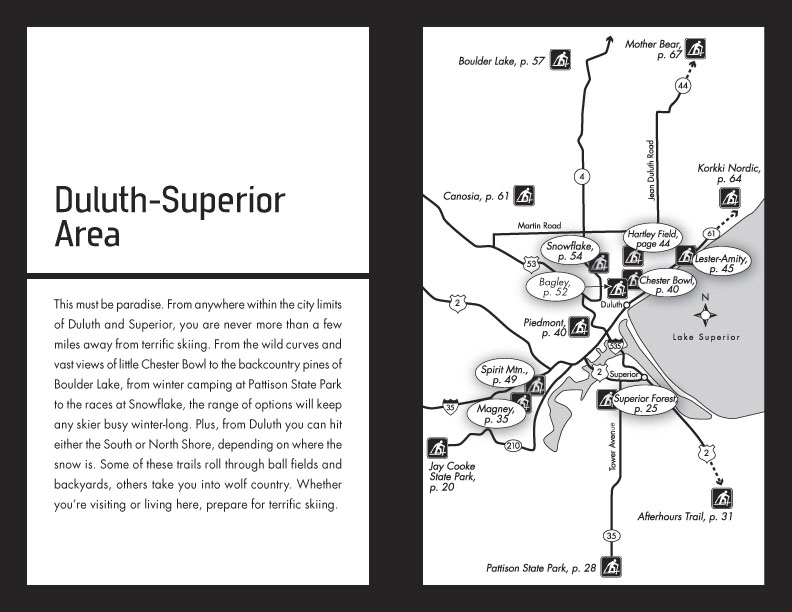 This is a skier’s ultimate guidebook to the North Shore—describing 35 groomed trail systems from Duluth-Superior to Grand Marais and the Gunflint Trail. You’ll learn about hidden gems and rediscover well-known state parks. Slade offers useful information about challenging trails for the expert skier, gentle and fun trails for a family outing, scenic overlooks where you can stop for lunch alfresco, and lighted trails where you can enjoy a romantic night ski. 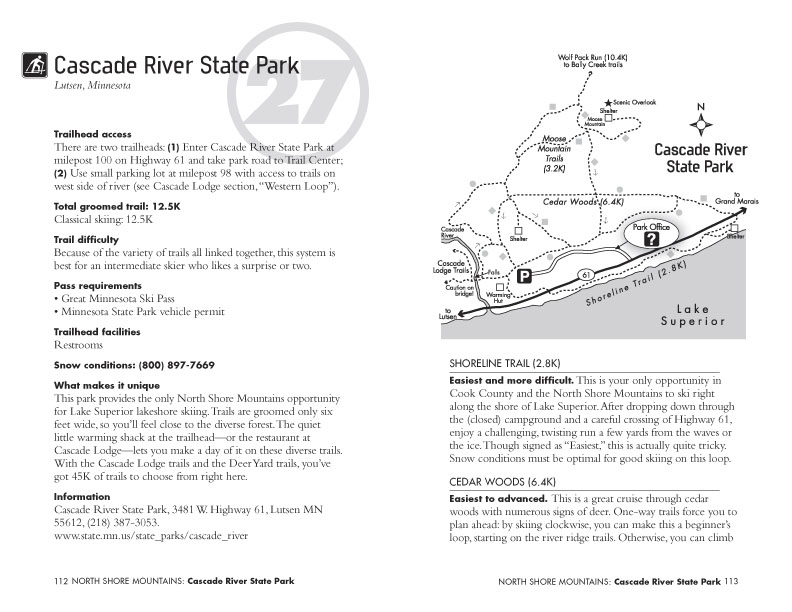 44 detailed trail maps and driving directions to trailheads. Helpful trail descriptions and difficulty ratings to help you plan your outing. Fun-to-know facts about the Lake Superior region in winter. Fees and pass requirements...and free trails, too! Facility info, including warming shacks, restrooms & outhouses. Resources for skiers, including snow condition hotlines and websites, equipment rentals, and road conditions. Trailside lodging options, from campsites to condos. 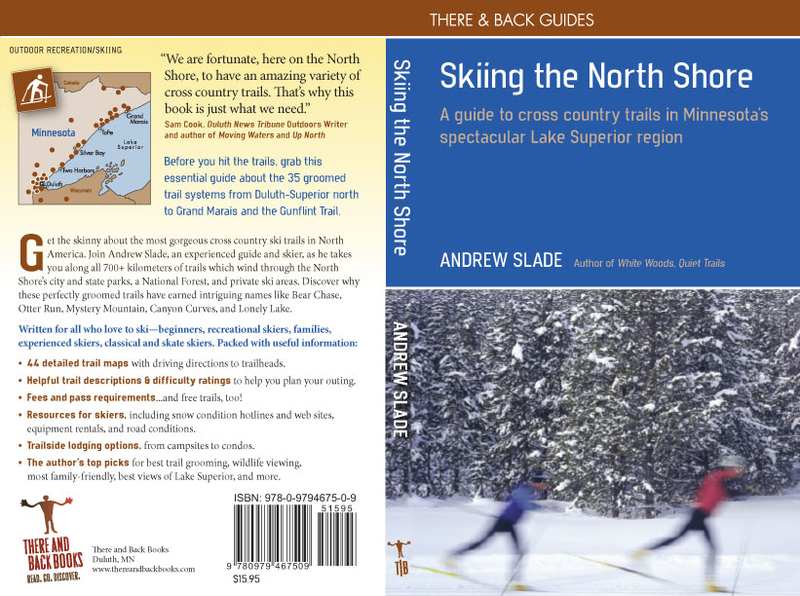 The author’s top picks for best trail grooming, wildlife viewing, most family-friendly, best views of Lake Superior, and more. This guide is for all who love to ski: beginners, recreational skiers, families, experienced skiers, classical and skate skiers.